From left to right, there is: Mondrian (BL), Love Mission (EBL), Velvet Minuet (SBL), Monique Magnifique (RBL), Simply Sparkly Spark (FBL), and Hi-Ho! Marine (RBL+). Some BLs, such as Mondrian, came “boggled”. None of the the eyelids show in some of the dolls. Most EBLs came with thinner, wispy eyelashes. Both BL and EBL had the same shade of pink eye chips. They were changed for SBLs. Velvet Minuet is one of the earlier SBLs, she had the natural downward gaze, “yellowed” eyeballs, and the upward smirk that some people didn’t like in the earlier SBL Blythe dolls. For reference, here is the text that is present on the back of their heads. The copyright date refers to the year that the mold was created, not the year that the specific release was manufactured. Often times, people think that a doll sold in 2016 should read 2016 on the doll, which is not the case. The copyright date is for the copyright of the design of the base doll. Hasbro is mentioned on the back of the dolls’ heads as they own the Blythe trademark/brand. Hasbro had bought the rights to Kenner trademarks. CWC pays to license the name, and thus Hasbro must be mentioned on the products. In 2010, Hasbro released Blythe as part of “Blythe Loves Littlest Pet Shop” with Blythe as a pet sitter to tie in with the animals. 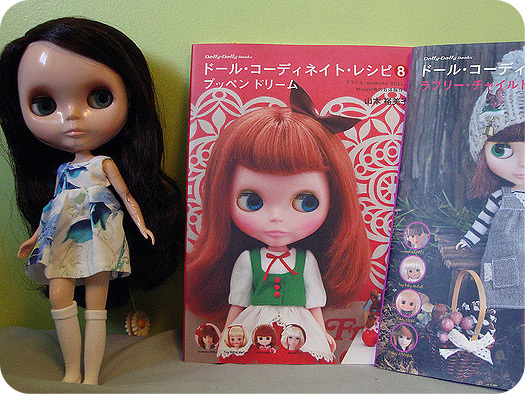 The size and overall style is very similar to that of the Takara Petite Blythe dolls. The biggest difference is that the Hasbro version of the Petite Blythe has stationary eyes, while the Takara Petites have eyes that close when laying flat (much like the ‘sleepy eye’ dolls that have been sold for decades). 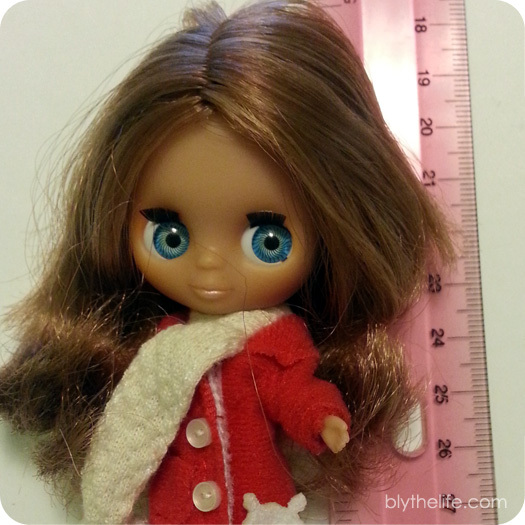 The LPS Petites stand at approximately 4.5″, making her significantly smaller than her Neo Blythe or Middie counterparts. She wears the same size clothing as her Takara sisters, but their small size means that it’s more difficult to sew clothing for them and, as a result, there are less people who actually create Petite Blythe-sized clothes. The eyes on these dolls are fixed. 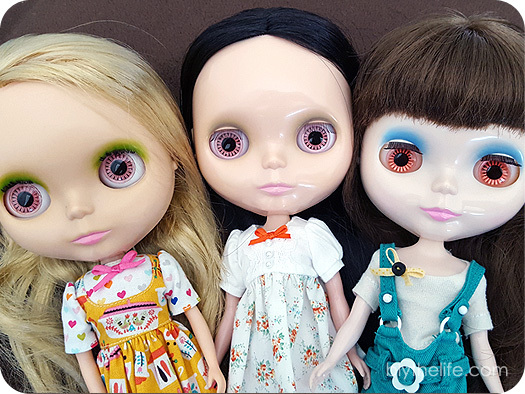 While Takara, Ashton-Drake Galleries, and Kenner Blythe dolls have their pull ring, Middie Blythes have a dial, and Takara Petite Blythes have ‘sleep’ eyes – the eyes on a Blythe Loves Littlest Pet Shop doll do not move. The direction that they look in is the way they’ll look in, short of customizing them. The heads of these dolls do pop off quite easily, they have a simple ball joint that allows for some range of option in their head and tilting. The arms and legs turn, but there are no points of movement for the elbows or knees – this is also true for the Takara Petite dolls. 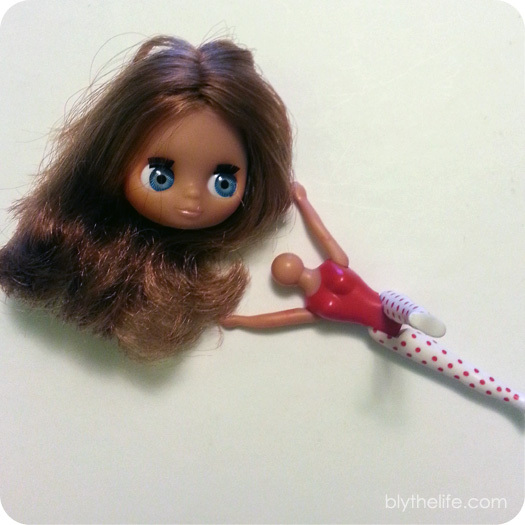 The Blythe doll sold by Hasbro now is a better representation of Blythe Baxter, the main character from the Littlest Pet Shop television show. Due to her cartoonish looks, she looks less like a copy of the Takara Petite Blythes and more like her cartoonish self and reminds me a lot of the new Polly Pocket dolls with their rubbery clothing. 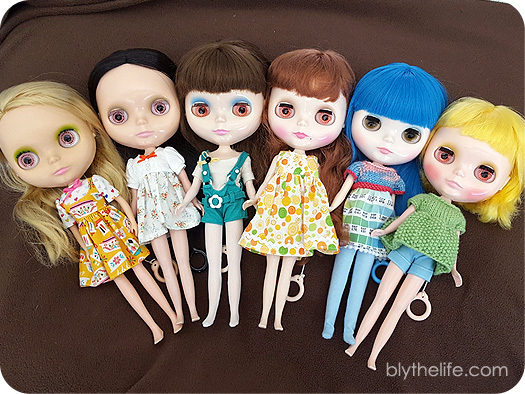 It is still possible to find the original LPS Blythe dolls, if you do a little searching in shops or online. all purchased online via Mandarake. The market is a lot different now in 2015 than it was in 2009 when I was first getting into Blythe and purchasing my first one in person in Richmond, BC. Nowadays, you run into the trouble of deciphering what a seller is trying to say when they may be using a translation program. There is advice I see floating around on Facebook that often directs new Blythe hobbyists to “TBLs” or “factory dolls” (which are all, let’s face it, fakes). Junie Moon – Junie Moon’s international online shop ship world wide. 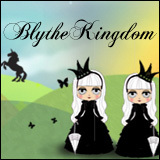 They are also an official Blythe retailer, as they are very closely associated and affiliated with Cross World Connections (who designs the new Blythe releases). You can often find new releases here, all at retail price. When there are special releases (e.g. limited releases, or anniversary dolls), Junie Moon holds a “lottery”. If you win, you win the chance to purchase the doll. Junie Moon does not often carry dolls that would be considered to be very old releases. CC Toys – CC Toys is a brick and mortar shop located in Hong Kong that also happens to sells online. They boast having ‘free’ shipping with each item, but you will note that they include cost of shipping in with the purchase price. The nice thing about this is that there are no surprises! The price you see is what you pay. They will often do presales for new releases. Some older releases can also be found at CC Toys. The prices may be inflated from original retail costs, as the prices are fluid with the popularity. The more popular dolls are often priced accordingly. HobbyLink Japan – HLJ is an online shop that carries Blythe and other hobby goods from Japan. Like CC Toys, they often do presales for new releases. What I personally like about HLJ is that they will combine shipping. If you purchase some things now and can wait for it, you can wait until you’ve accumulated a fair number of items before having it shipped (up to a certain length of time). This may be helpful for some people. I have purchased a fair number of Japanese hobby books from HLJ and they have always been packaged well. Mandarake – Mandarake is a series of brick and mortar shops in Japan that will buy and sell items. They also carry Blythe. Mandarake is a great resource for older releases as well as used dolls. I have found that often the descriptions do not make sense (likely due to use of a translation program), but you can often find good deals through Mandarake if you are willing to search a bit and wait. Amazon – Surprise, surprise – the online retailer that carries just about everything also carries Blythe! The US site for Amazon does have some releases – albeit at fairly high prices. Amazon.co.jp also carries Blythe as well, but you may run into the trouble of needing to use a shipping service that will purchase as your proxy and then ship you your items after they receive it. This means that you will be paying for shipping twice (first domestically, second internationally). I do hope that these links help you in finding your (first?) Blythe! If you’ve had good (or poor) shopping experiences at any of the above retailers – let me know in the comments below! If you have any shops to suggest, please link below. 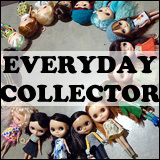 A Beginner’s Guide is a feature on BlytheLife.com that is all about going back to the basics of collecting Blythe, and being a reference tool for new and experienced collectors alike. If you have any suggestions for what you would like to see in A Beginner’s Guide, send me your suggestions! Middie, the middle sister in the Blythe family. Firmly stuck between the long-standing Neo-sized Blythe and the little Petite, what is there to say about Middie? For one thing, she is a significantly different size than both of her sisters, which demands an individualized wardrobe, and shoe collection (even though stock Takara Middie boots will fit both Neo and Middie just fine). 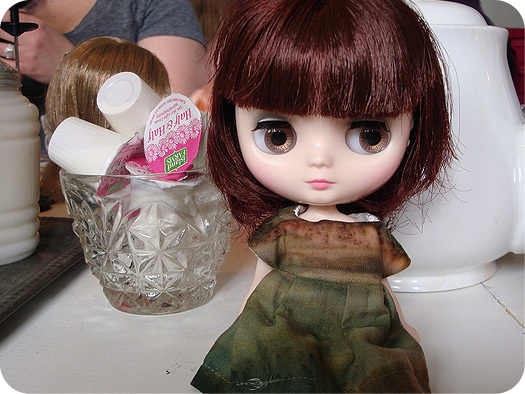 Middie splashed out into the Blythe scene in 2010, with Macaron Q-Tea Party. 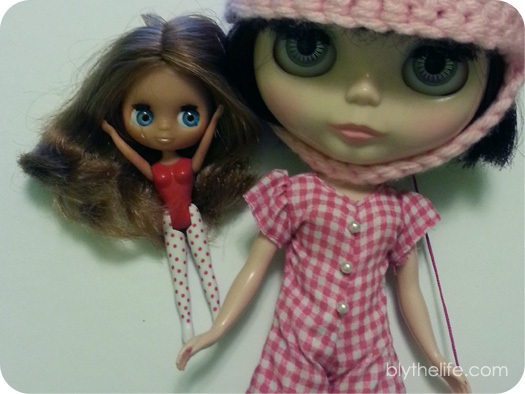 I remember thinking that she didn’t look that different in sizing, at least until I saw a photo of a Middie next to a Blythe. And even then, she seemed a lot closer in size until I saw a Middie in person (finally!). The sizing makes Middie tricky to dress because she is so much skinnier and shorter than Blythe is. Like the Neos, Middies have been faked on the online market, but she is still easy to find via legitimate doll-buying channels (such as Junie Moon and CC-Toys). When in doubt of the legitimacy of a doll online – always ask questions. I find that it’s easier to find truthful sellers in the collectors’ community than with eBay shops, but for the most part you can compare the photos of the dolls with official release promotional photos, especially if you are buying a stock Middie doll. If you’re buying a custom doll, be sure to ask questions if you want to know what the base doll was – the customizer should be able to tell you. Despite the fakes and the sizing issue, the nice thing about Middie is that she does fit Kelly shoes, and other similar-sized Barbie little sisters – the unfortunate thing is that once people in the Blythe community discovered this fact, the prices of Kelly shoes did raise on eBay. Click to read more of this entry. Where will you buy her from? When buying new, you have options of buying older or newer releases. Newer releases can be more easily found from official retail shops (all found online, or in-person in Asia). Older releases that are completely new, and minty, can be found via collectors selling online, or on sites like eBay. 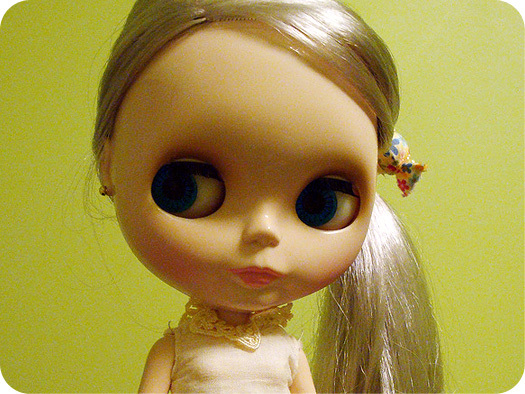 When buying used, I would recommend joining a Blythe-oriented forum (such as Blythe Kingdom), or looking up ‘Blythe dolls’ on Facebook and seeing what Facebook groups pop up as many people list their dolls on Facebook as well. 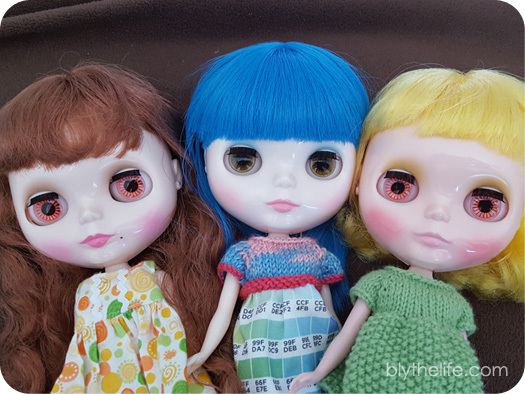 You can find both stock or customized Blythe dolls for sale when looking for used, at a very large range of price points. I thought she was so innocent back then. I didn’t know what I was getting myself into. 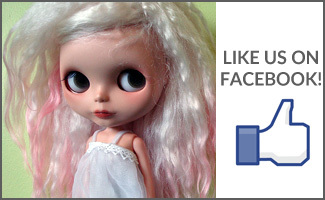 Join a forum or Facebook selling group to get a better feel for the prices of the type of Blythes that you like. You do not need to buy the first Blythe that you come across. When dealing with an individual person (rather than a business), you always have the option of asking for references/feedback. Ask whom they’ve sold to in the past. Buyers should never be responsible for covering PayPal fees. The sellers should not ask you to do this. They should be pricing their dolls accordingly to cover this themselves. Buyers should never pay for anything as a “gift” via PayPal, or be asked to pay as a “gift”. Protect yourself first. Pay in the correct category (for goods) and protect yourself in case someone is a scammer.